Formatted with a split-page wiro design, the top pages present dozens of tarot spreads from the classic Celtic Cross to specialized layouts for relationships, money and career, home, and creativity. 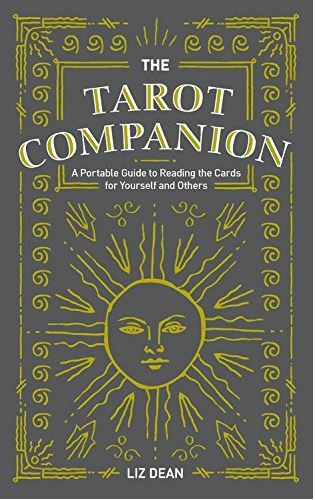 The bottom pages offer interpretations for each of the 78 tarot cards – so you’ll no longer need to awkwardly flip between several different books to lay out and interpret your cards in a reading. With this full-colour guide you’ll see a tarot layout for every concern and be able to read it instantly.